According to the Kulinarisches Erbe, the name possibly refers to Caracas, capital of Venezuela, where especially high quality cocoa is produced. It seems to have originated some time in the 1920s in the Romandy, but was generally limited to pastry shops in bigger cities, and not often baked at home. Recipes are first seen in technical pastry manuals for students and professionals after the second world war. There are just a few recipes for Carac online, including this big Carac tart from Betty Bossi. As the Kulinarische Erbe forewarned, I didn't find any recipes in home cooking cookbooks, or in my pastry school books from the early 20th century (though there is a not dissimilar Caracas cake that is filled with "canache" and drenched in chocolate). To me, the base of the Carac is often a let down (tasteless and malleable), so here I tried an almond enriched crust which comes out crispier and full of flavour. 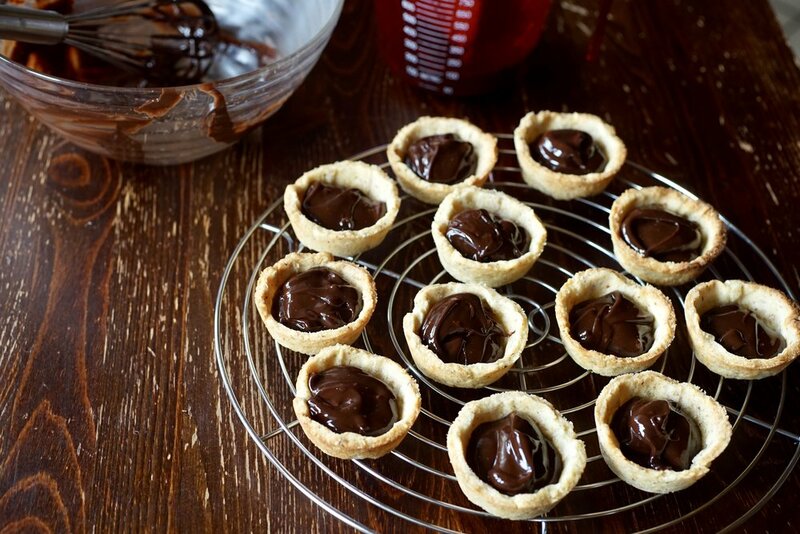 The filling is a standard ganache, booze optional, and the same goes for the icing. I baked these in muffin tins, which make large and intense tarts—another option would be to bake them in shallower tart pans. In a large bowl, whisk together the flour, almonds, sugar and salt. Add the cold butter in pieces and rub into the flour mixture with your fingers until you have small flakes. In a separate bowl, whisk together the yolk and water. Make a well in the middle of the flour and add the egg and water mixture. Mix this gently until a dough forms. Do not overwork the dough or it will become tough. Press the dough into a disc, wrap with plastic, and let cool in the fridge for at least half an hour. Once it has rested, roll out the dough to about 1 cm (1/2 inch) thick. 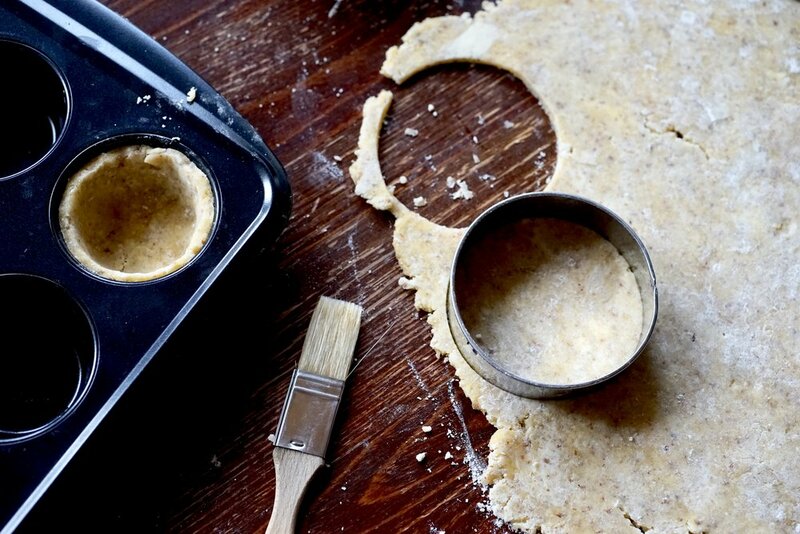 Use a circle cutter to cut large rounds and fit them into a muffin tin. Cool this for about half an hour. You will need to blind bake the crust. Line each tart with a piece of parchment or aluminum foil. Fill with pie weights or dried beans. Bake for about 10 minutes, then remove the weights and bake for 5 minutes more. Now, set these up on a cooling rack or tray, ready to be filled with the ganache. Put the chopped chocolate in a large bowl. In a medium pot, over medium heat, warm the cream until it is bubbling. Pour the cream over the chocolate and and cover the bowl. Let sit for about five minutes. 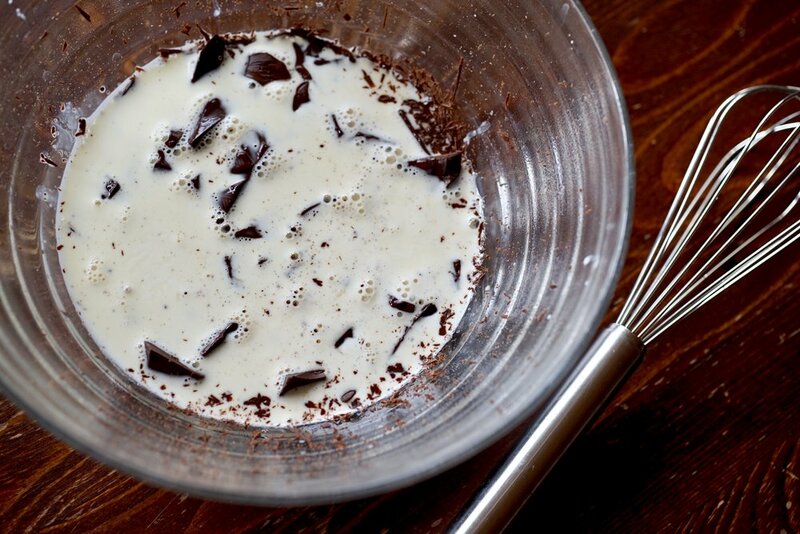 Whisk the cream and chocolate together, and then whisk in the shot of booze. 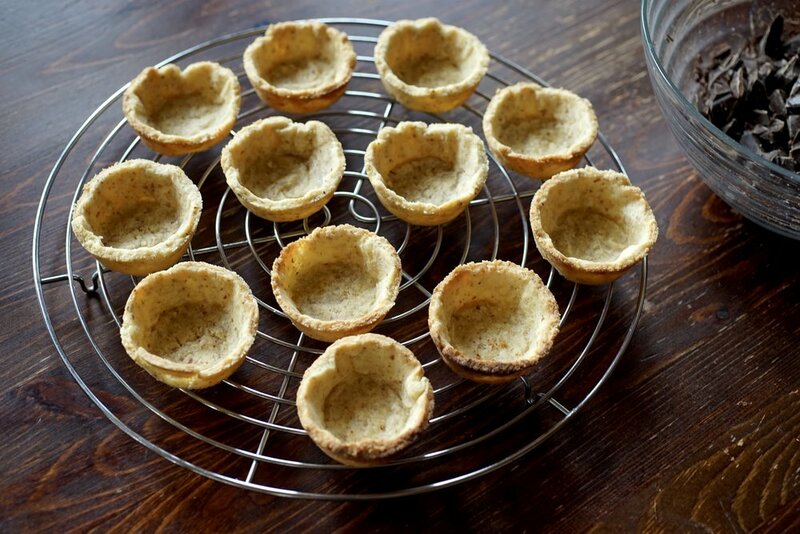 Carefully fill the tart shells about two thirds full. In a medium bowl, whisk together the icing sugar and booze or water. Add the food colouring until you get your desired shade of green. Gently cover the tarts with green icing. Melt your chocolate and fill your piping bag. The traditional decoration of a Carac is just a single chocolate dot, but you can also decorate at will. 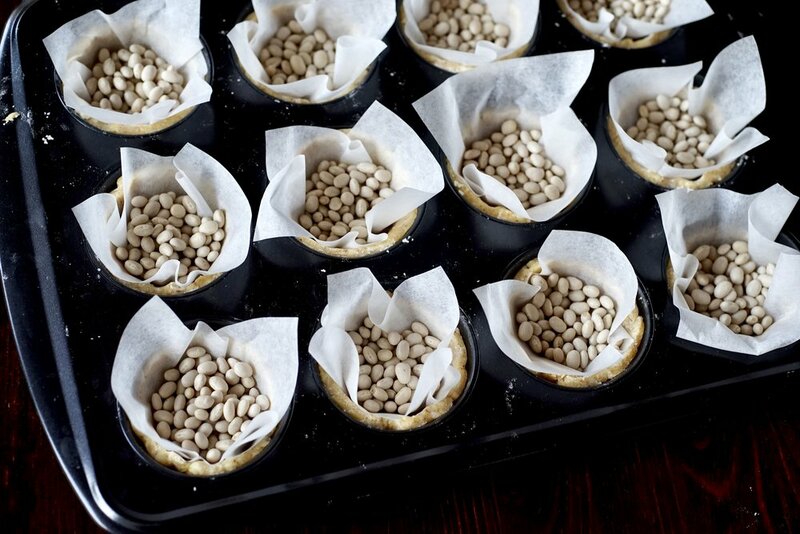 Another way to blind bake is to freeze the muffin tin, and then before baking, prick the tart bottoms all over with a fork. 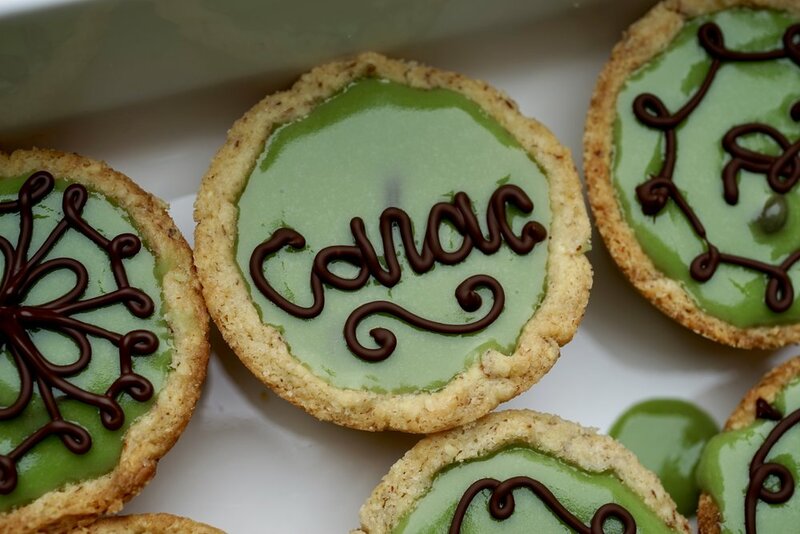 Double your green fun, and give both the ganache and icing a hit of absinthe. Want more Swiss pastry in your life?